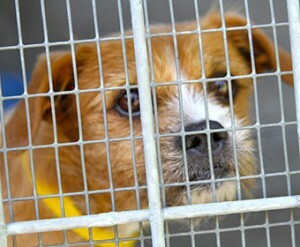 In the U.S. alone, over four million dogs and cats are put down each year in shelters. That’s over 80,000 a week. A pregnant dog like Lucy and her pups would likely have been candidates for euthanasia if left on their own. Most shelters are not equipped with space or financially able to house and care for a mother and her pups. Left to fend for themselves on the street, they would surely suffer and most would likely not survive. The goal of the Lucy Pet Foundation is to have spay/neuter and adoption mobile clinics in every major city in the country. If you do the analysis in just one major city, the numbers are staggering. With one mobile clinic, we can spay and neuter over 120 dogs and cats per week. Doing this 48 weeks of the year means 6,000 animals will be spayed and neutered. This will prevent those animals from adding a minimum of 15,000 new potentially homeless animals to pet overpopulation. By year three it is estimated that we can prevent over 500,000 animals from suffering in that same community with just one mobile clinic. With our goal to have at least 40 spay/neuter and adoption mobile clinics, we can really make a significant dent in pet overpopulation. When the mobile clinics are not performing surgeries, we will work with local animal shelters to save dogs and cats whose time is up. We will feature the animals in our mobile adoption portion of the truck at pet retail stores and events. Our goal is to find forever homes for as many homeless pets as possible. Lucy Pet Products, Inc. is a family owned and operated company based in Thousand Oaks, California. Our President and founder, Joey Herrick also founded The Lucy Pet Foundation, whose mission is to reduce pet overpopulation and the euthanasia of over 80,000 cats and dogs per week in the United States. “Lucy” is the name of a female Chihuahua mix who been out on her own for a long time. She was found completely covered with dirt, toenails curling under, tire marks on her back and malnourished. A few weeks after she was adopted, she gave birth to a litter. Lucy and her pups became the inspiration for The Lucy Pet Foundation. Today Lucy lives with our founder Joey Herrick and his family. Her story also helped inspire our first product line of shampoos. Lucy is featured on the label of our “Berry Berry Smellicious” Shampoo and Leave-In Conditioning Spray. Our products can be found in pet specialty stores across the USA and are exported worldwide. Everyone at Lucy Pet Products loves animals. Our pets come to work with us, including “Surfin’ Jack”, “Ricky the Rescue” cat and his sidekick, “Ethel Moustacha” the cat. In February 2015, Surfin’ Jack and Ricky starred in “The Lucy Bowl” TV commercial, which aired on Super Bowl Sunday and became one of the top 10 TV commercials of the year.